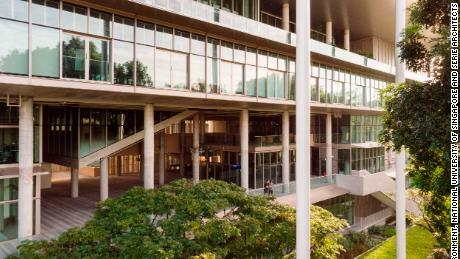 The National University of Singapore welcomed students to the six-storey facility in January. It’s the first time a “net zero energy building” has been built from scratch in the city-state. Home to the university’s School of Design and Environment, the building features an overhanging roof to create extra shade and help keep rooms cool. 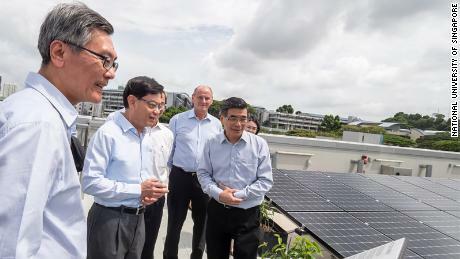 Covering the roof are more than 1,200 solar panels that should generate about 500 megawatts of energy a year, slightly more than the faculty and its students are expected to use, according to Lam Khee Poh, dean of the school. Any excess electricity that might be generated is fed into the school’s main power grid, which also acts as a backup supply for the building. There were only 500 net zero energy commercial buildings and 2,000 net zero energy housing units worldwide in 2017, according to estimates from the World Green Building Council. But the pressure on developers to go green is mounting. Buildings account for nearly 40% of greenhouse gas emissions worldwide, and more renewable energy solutions will be needed to meet targets mandated by the Paris climate accord, according to Architecture 2030, a nonprofit group that works with builders. There has been some progress. Since 2010, the number of zero energy buildings across the United States and Canada has spiked 700%, according to the New Buildings Institute, a nonprofit organization that supports the construction of energy-efficient commercial buildings. At the Singapore college campus, they’re also trying to reduce demand for energy by 40-60%. That means the school community will “need to adapt,” Lam told CNN Business. Staff and students are being asked to switch on air conditioning only when absolutely necessary by making use of ceiling fans and opening doors and windows. It wasn’t easy getting the project off the ground. 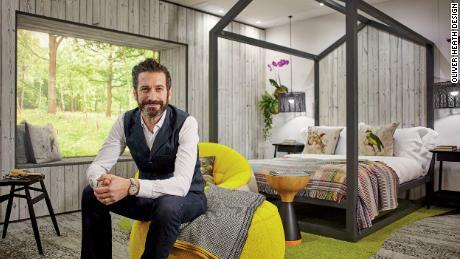 Ten years ago, the concept of a zero energy building was floated, but was ultimately turned down by university researchers and local authorities because of the cost, said Lam. He declined to comment on details of the building’s price. Still, researchers at the school kept working on prototype designs and in 2016 the university broke ground on the new building. And despite the initial skepticism, the dean says he’s been encouraged by feedback so far. “The message is spreading. It can be done,” he said. Pemilu 2019: Kenapa dukungan untuk Prabowo begitu kuat di Sumatra Barat? Copyright © 2018-2019. IndonesiaNewsToday.com. All Rights Reserved.